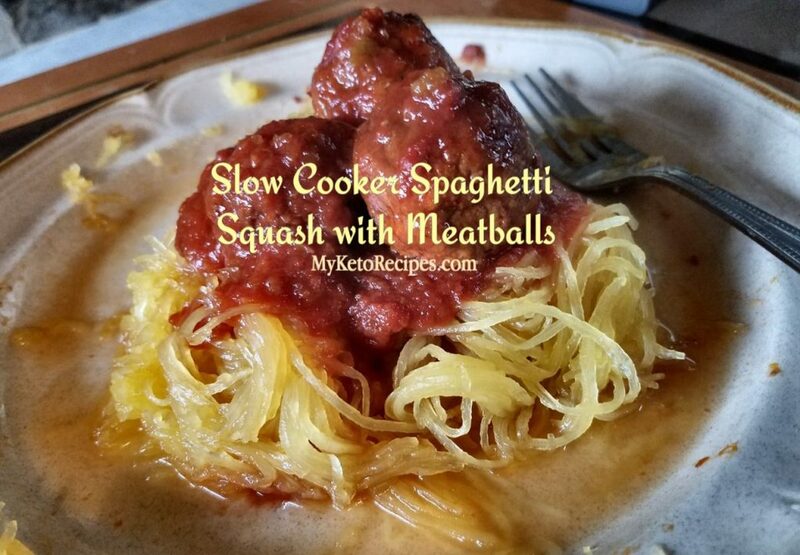 If you love traditional spaghetti but are following a keto diet, this is a great alternative. 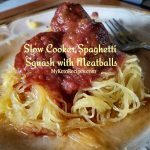 Spaghetti squash and meatballs can be made in either a slow cooker or large crock pot and is super easy! I recommend using a low carb, organic spaghetti sauce. I buy mine at Costco. I also find low carb Italian meatballs, but you can use your own home made ones as well. My kids love this as well topped with some parmesan cheese! Wash squash. Piece the outside of the squash with a sharp knife 5-6 times. Cut in Half and remove seeds. Place squash, cut side down in slow cooker or crock pot. Pour low carb spaghetti sauce around the squash. Place low carb meat balls on sauce. Cook on low for approx 6 hours. You will know squash is done when it pierces easily with a fork. Remove squash from the crock pot and use a fork to pull out the inside of the squash from the shell. Serve with sauce and meatballs for a veto friendly alternative to traditional spaghetti.